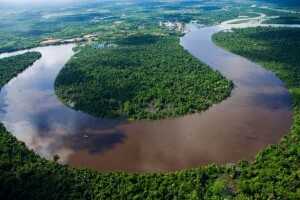 The government-owned pipeline has sprung two leaks in the last two weeks, dumping 3000 barrels of oil onto the Wampis’ land, in Mayuriaga, and into at least two rivers, including a tributary to the Amazon River. 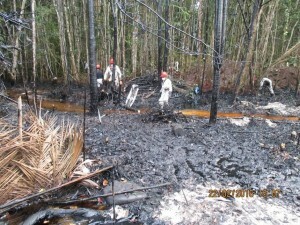 These are not the first spills caused by Petroperu. Environmental regulators have ordered the company to replace parts of it’s 40-year-old pipeline after repeated leaks over the last several years. “Though officials refer to the second leak as ‘the Mayuriaga spill,’ because it took place in Mayuriaga, the government did not include the community in an official list of affected groups that would receive emergency supplies and attention,” The Daily Mirror reported. Perhaps, they’ll think twice before they make that mistake again. But then again, it’s not the first time the Peruvian government has overlooked the Wampis. Simply want to say your article is as astounding. The clarity in your post is just great and i could assume you’re an expert on this subject. Well with your permission allow me to grab your RSS feed to keep updated with forthcoming post. Thanks a million and please carry on the rewarding work. Thank you for sharing. Thought provoking situation. Are the kidnappers then made to be heroes? Could their acceptance of and immersion into established society have prevented them from exclusion for relief after this tragedy? Would these people be so driven by anger that they have indeed made themselves vulnerable to court justice… or are they soon to be victors, gaining monetary reward for the injustice imposed upon the land? Would that really be winning? It would be interesting to see how this plays out. 9/5/2016 Love returntonow.net– very informative and much to think about! Blacks rarely rebelled because they were treated so well. Look at the slaves in Latin America & Haiti. They rebelled endlessly. Why? Because they were so ruthlessly worked on the plantations. Many sugar plantations (all??) in Brazil were owned by hardworking honest wonderful Jews. They NEVER used slaves. They were aghast at slavery; you know,civil rights and all. They did the work themselves or hired workers who enjoyed the good salaries and health care!